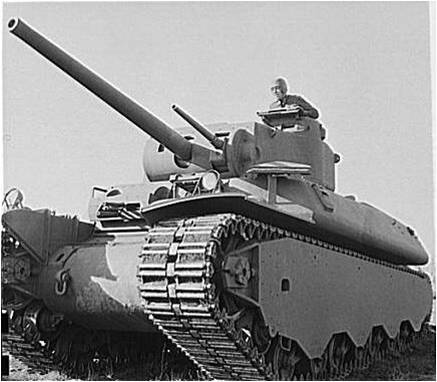 Little known, the M6 was the first modern US heavy tank. The only other heavy tank built in series was the Liberty or Mark VIII, a joint US-British design, produced in 1918, of the WWI-era lozenge type. When the Second World War broke out, the successful German campaign of 1940 gave a spur to US tank development. 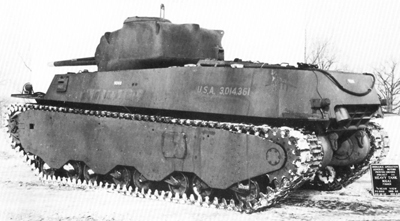 Already, on 20 May 1940, the Chief of Infantry recommended to the US Army Ordnance Corps to study a 50-ton tank design. The first one was a projected multi-turreted model with two main 75 mm (2.95 in) turrets, a secondary one with a 37 mm (1.46 in) gun and coaxial M1919A4, and another, smaller turret with a 20 mm (0.79 in) gun and coaxial cal.30 (7.62 mm), plus four cal.30 machine guns in each corner of the tank in ball mounts. 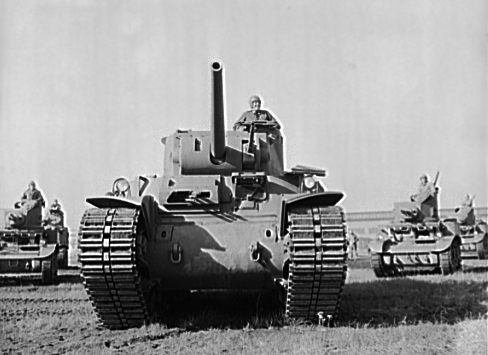 In was approved on 11 June 1940 under the ordinance prototype registration T1 heavy tank. The T1 had to be fitted with a cast hull and hydramatic transmission. However, this design already appeared outdated. In October, this design was changed to a more conventional approach, with a single turret armed with a 76.2 mm (3 in) and a 37 mm gun (1.46 in). This second design had a single three-man turret, with a vertically-stabilized 3 in gun (76.2 mm) coupled with a coaxial 37 mm (1.46 in) gun. The turret was cast and had an electric drive and manual traverse. There was also a bow mount with twin cal.50 (12.7 mm) machine guns handled by the assistant driver. The commander cupola and some other parts were borrowed from the M3 Lee. The suspension was also borrowed from the M3, being a standard vertical volute spring (VVSS), with four bogies per side, but the tracks were doubled in width, with two rubber shoes instead of one. The upper tracks reposed on a guide rail, and the entire side was protected by a large, one-piece side skirt. The armor ranged from 83 mm (3.27 in) to 44 mm (1.73 in), while the hull was sloped. The overall weight was a staggering 50+ tons. Due to this, the main issues were the engine and transmission. The Society of Automotive Engineers was charged with finding a suitable combination. The Wright G-200 air-cooled radial gasoline engine was initially selected and served with an electric transmission, a hydramatic one or with a torque converter. Three prototypes were ordered, but only two were delivered early in 1942 by Baldwin Locomotive Works, using the electric transmission and torque converter. One differed by having a cast hull, while the other had a welded one. On 26 May 1942, other prototypes of both series were ordered under the T1E1 designation (unofficially M6A2), with electric transmission, welded hull, 20 being built, and T1E2 (M6), with the torque converter, with a cast hull, 8 built. 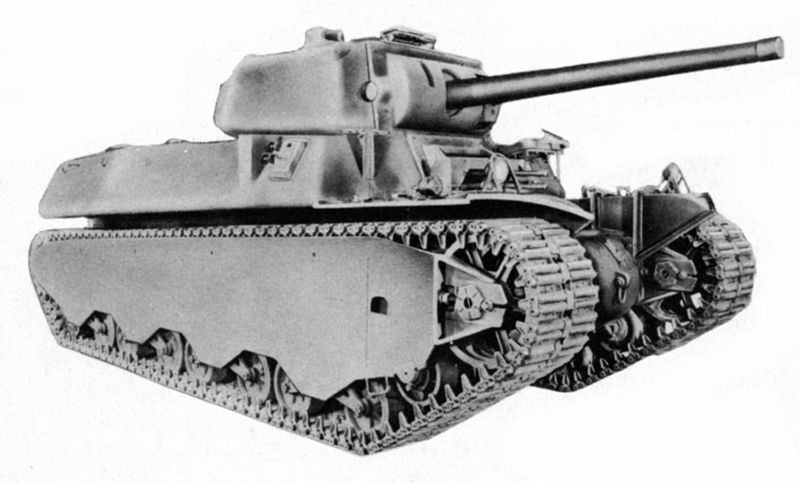 Eventually, after many unit trials, the Ordnance Corp advised to concentrate only on the torque converter variants, and a third improved series, the T1E3 (M6A1) was ordered. Recommendations included that 115 M6s would be built for US army service and 115 others for the Allies, starting in December 1942. These series vehicles were given a two-piece cupola hatch and ring mount for an AA cal.50 (12.7 mm). The left front machine-gun was removed. 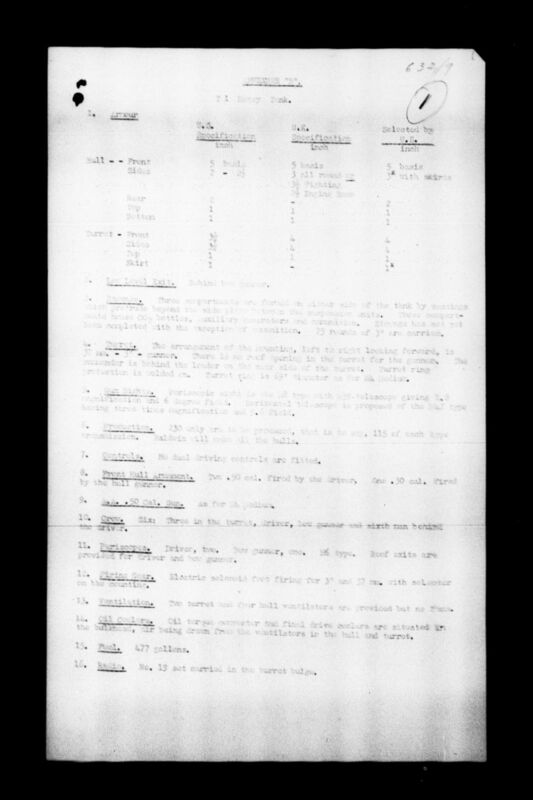 However, the Armored Corps had quickly grasped the utility of having a single tank type in service, cheaper and easier to transport, such as the Sherman, and the production was stopped. The development, however, did not end there. 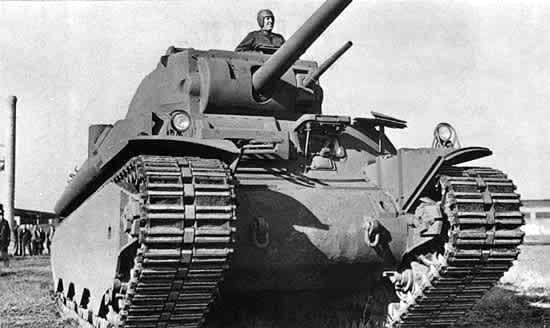 In August 1944, the Ordnance Corps recommended an experimental series of 15 T1E1s with a new turret, later known as the M6A2E1. Main features were a new, tall and roomy turret from the T29 heavy tank and a 105 mm (4.13 in) gun, giving an overall weight of 77 tons. This project was rejected by General Eisenhower. Since the M6 was never approved for mass-production, the small series built remained on American soil, for training purposes, unit maneuver drills, and later propaganda movies, war bond tours and various related displays throughout the United States. On 14 December 1944, the M6 was declared obsolete and all but one of these scrapped, the latter now stored on display at the U.S. Army Ordnance Museum, at Aberdeen, Maryland. M6A1, cast armor hull type, Fort Bennnings, 1942. A -what if- prospective view of a welded type hull M6 in Italy, 1944. I think this tank has a similar turret ring size as the Sherman so i wonder what if the M4 Sherman(76) would have been like if it had this turret instead of the other one. 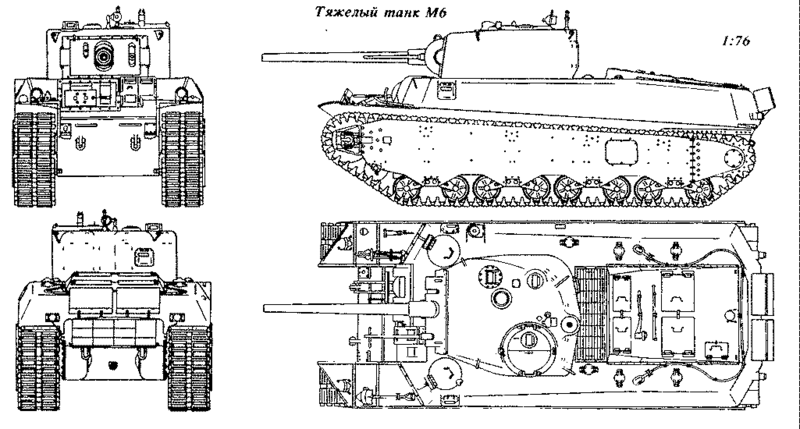 Correct, the turret ring diameter for the M6 and the M4 was about 69″. But weight would be problematic when you try to install an M6 turret on an M4 chassis. I can’t see the full image of the M6A2E1. A lite box pops up and says try again… this has been happening for 2 or so days now. Apparently the image link was broken. Thank for spotting it ! Fixed. If that means it’s broken then you got a bunch of them around but I forgot were though. Sorry i’ll tell you when I find them again. When the website was moved on the new server, some pics were never downloaded/uploaded correctly, so there are probably others that we have not spotted yet. Thanks to comment of you find some indeed ! Wouldn’t the tracks be vulnerable on this tank? Yes, as any tank. Though the side skirts look like they would protect from shrapnel and small arms fire. Will you guys ever do the T1 prototype? It sounds like an interesting tank. In turn, as we have many others to cover. Of course you can join the team and help us on that. Was this put in use? Only for training in the US. Hi what would it take to help out with the website and stuff?? I would like to ask if anyone here can shed light on the current whereabouts of the lone M6A2E1 tank – Is it available to view at a museum? The M6A2E1’s were probably broken up for scrap in a scrap drive in one of the Conflicts after WWII (Korea, Vietnam) one of the Last known photos is after WW2 in Aberdeen in the field with all the other display tanks. probably the late 40’s or early 50’s it was taken. You have it listed as a VVS suspension, it was actually a HVSS type, one of the first if you consider the time period. Armour values are a little off as well. 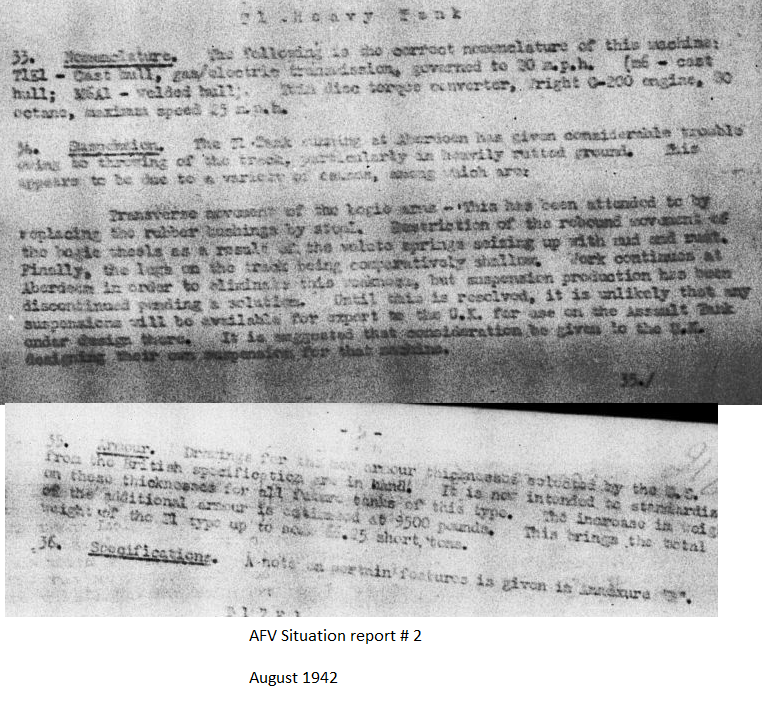 Scans of the standardization that was accepted for production. 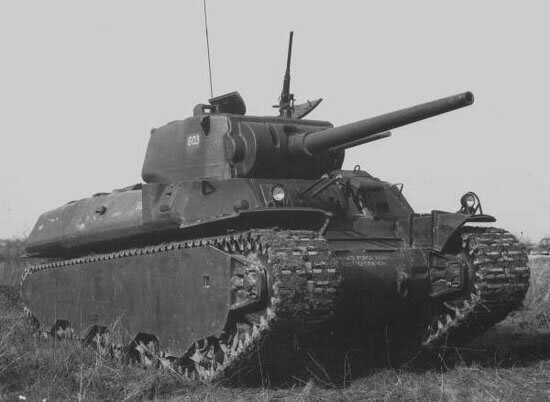 Later the British chimed in and informed the US they wanted much more armour on them, the US agreed and going forward all production M6 type tanks were to have an extra 9500 lbs of armour added. Very few American tanks. You don’t have any of the bigger medium tanks like the m48 Patton, T20, or T29. There are many more than this. would like it if you balanced out the number of tanks. There is a huge difference when you compare the number of tanks featured in the U.S.S.R to the number of tanks featured in the USA section. Especially when the USA is the greatest superpower in the world. T29 may be covered in a later date. The reason we have more Soviet articles, for example, is because we have writers who are more knowledgeable towards Soviet tanks. We always welcome US tank enthusiasts willing to write articles for us. Indeed, you can ask around in the recruiting section of our Discord server. Is there a market for cast metal models for WW2 tanks? I possess a couple dozen cast metal models purchased by my father at the end of WW2 from a soldier who alleged the tank models were ordered to be destroyed. They were produced as identification models. One of the models is described as heavy tank M-6 and is 7+ long and 3 inches tall. It is in excellent condition. I am not seeking to sell but am interested in the value. What did the T1 heavy look like? The multi-turreted design. In your specification you say that the M6A1 has an “75 mm (2.95 in) gun M7, 75 rounds” yet I believe the tank was armed with a 76.2 mm gun. An article on this vehicle is currently in writing.